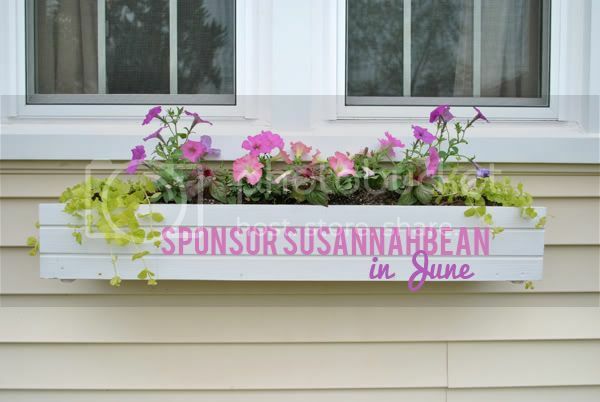 susannahbean: Sponsor Susannahbean in June! We planted our little window boxes the other day with three colors of petunias, celosia, and creeping jenny. I love how they turned out!! June is going to be an exciting month! I've got lots of fun things planned, and most exciting of all it's my birthday month! I have a couple medium and small ads left for June, so email me at susannahbean AT gmail DOT com if you're interested! Chris and I are enjoying some coffee and toast on the couch and watching Shin Chan before we head off to work. No big parties for us on this holiday, but that's alright :) How are you celebrating Memorial Day?